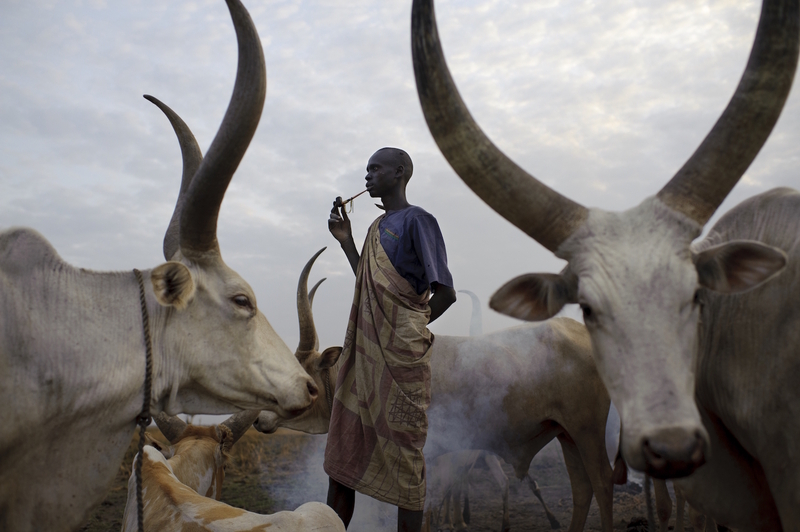 South Sudan is the newest country in Africa: formerly part of Sudan, the republic of South Sudan was founded in 2011. The country faces the dual challenge of dealing with the effects of more than 50 years of conflict (compounded by recurrent civil strife) and huge development needs. Half of its 12 million inhabitants live below the poverty threshold, and one third of children suffer from acute malnutrition. There have been a lot of armed conflicts going on in several regions of the country, with inner-state fights for land and political power. Insecurity is both political and economic, and food security is at threat. Livestock farming is the main pillar of livelihood and it plays an important socio-economic role. Nonetheless, both agriculture and livestock are affected by armed conflicts; the farmers and sheepherders cannot survive on agropastoralism anymore. VSF Germany and VSF Suisse operate in different locations across the country: the Greater Bahr el Ghazal (Lakes, Warrap, Northern and Western Bahr el Ghazal), Greater Upper Nile States (Upper Nile, Jonglei and Unity), and Pibor. Provision of veterinarian assistance, including vaccination and treatment campaigns, training of Community-based Animal Health Workers (CAHWs), establishment of veterinary drugs supply systems and disease surveillance and reporting systems. Establishment of Pastoral Field School and Farmers Field School. Rehabilitation of water points and barrages. Support to the socio-economic reintegration of child soldiers and children affected by the conflict and their families. Support to local farmers (internally displaced people, returnees and host communities) to improve food production through adoption of climate-sensitive agricultural practices. Development of multi-purpose ponds to serve for irrigation, water for livestock and as source of fish. Distribution of fishing and vegetable kits to vulnerable households. Increase access to local market through micro credit facilities and Village Community Banking (VICOBA).